Fun-seeking, retired biker lady seeking friends & playmates. I'm a thick chick, funny, relaxed, open-minded & non-judgemental. I'm happily married & in an open relationship. I don't drink, but am a smoker & 420 friendly. I have several tattoos & piercings, am laid back & enjoy reading, camping, motorcycling, fishing, gardening & chilling with friendly folk. 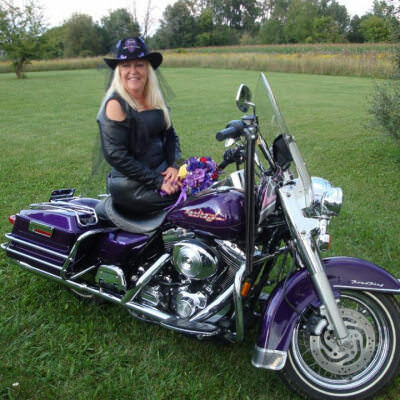 I ride a lovely purple Road King. She's a beauty!